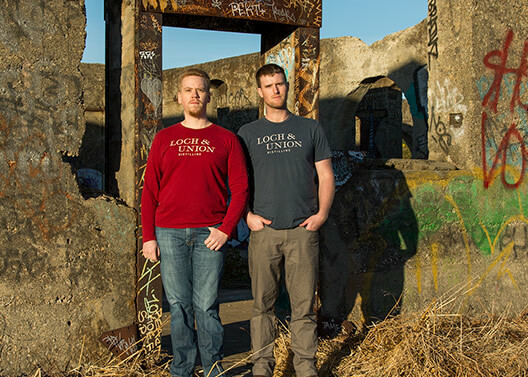 Loch & Union’s story began while Colin Baker was studying for his Master’s Degree in Brewing & Distilling at Heriot-Watt University in Edinburgh, Scotland. 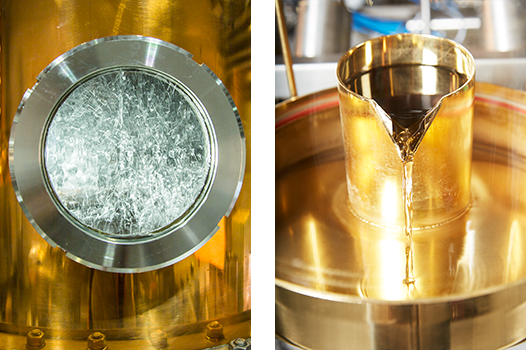 His interest in distilling eventually became an obsession, which led to the idea of opening a distillery of his own. Along with his best friend at school, Chris Andrews, and with the guidance of some industry veterans on faculty at Heriot-Watt, the original concept for Loch & Union was hashed out. But where to put this new distillery? Napa Valley of course! The beauty of Napa is that not only is there easy access to seasoned barrels from some of the best wineries in the world, but also new oak barrels from some of the best cooperages in the world. Add to this that Napa is a wonderful place to live, and it’s in the Bay Area, which has one of the most vibrant and creative distilling / spirit scenes anywhere, it was clear this is where the distillery should be planted and grow roots. The next major piece came together when Colin teamed up with his longtime friend, Matt Meyer, to run the business end of the operations. The two met in 2008 while studying at the London School of Economics, and Matt’s head for business proved a perfect compliment (and sometimes balance) to Colin’s creative and technical focus. From then on the pair worked through all the challenges of opening a distillery from permits and licensing, dealing with local governments, construction, fire suppression, etc., etc. etc. It’s been a lot of work to get this crazy thing up and running, but we have finally realized our dream! © 2018 LOCH & UNION DISTILLING. © 2018 LOCH & UNION DISTILLING. All Rights Reserved. Our site is intended for adults of legal drinking age.